← What do you REALLY want? What is it about love that melts the heart? What is it about love that brings joy, contentment and fulfillment? 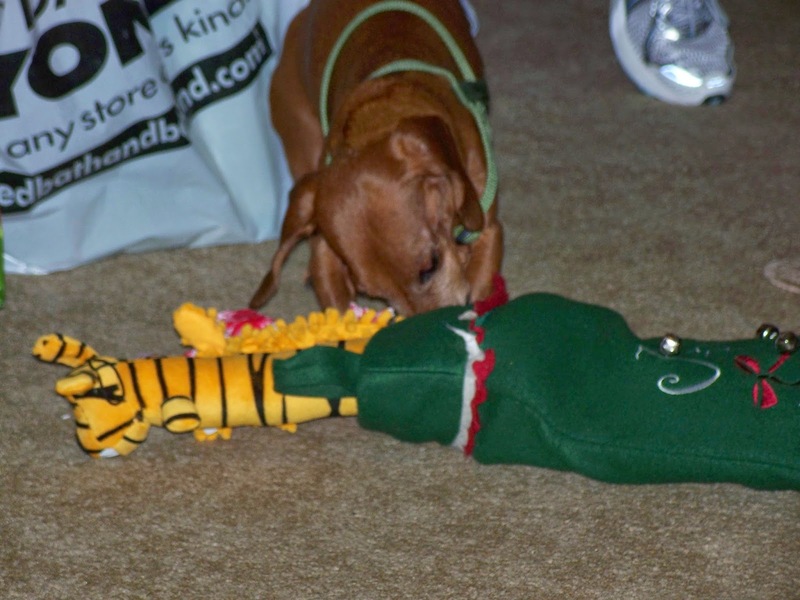 For Dipper (above), he loved opening presents…probably more than the presents themselves. We always loved seeing his excitement over this annual ritual. Our hearts were saddened this past year when Dipper joined Dad in Heaven, but our love remains. Dipper expressed his love with ‘kisses’ every day, with excitement over the simple pleasures of taking a walk, expecting lunch and cuddling on the recliner. What melts your heart? A newborn baby? A playful kitten or puppy? What bring you joy beyond anything else? A walk in the woods? A visit with a lifetime friend? How do you express your love? A kiss? A heartfelt ear? Imagine if everyone focused 100% on love for 24 hours….no work….no disagreements….no anxiety….no worry….just love. Can you imagine what the world would look, feel and be like? Can you even imagine? This entry was posted in Uncategorized and tagged Creativity, Hope, inspired living, joy, Love, MCLP, Nature, Outdoors, simplicity, Spiritual living. Bookmark the permalink. 1 Response to What Is It About Love? We feel love through companionship (human or otherwise), by giving and receiving empathy and affection, by appreciating the beauty and bounty of nature, and by enjoying the simple pleasures and a job well done. Love goes beyond the sentimental and nostalgic. We should be loving every minute of every day during solitude, work, or play. Love is a mindset.